Senator Elizabeth Warren wants to set the interest rate on federal loans made to low-income college students at 0.75 percent. Why? Because the Federal Reserve lends to banks at that rate, while the government charges 6.8 percent on most student loans; because the government “profits” by lending to low-income students; and because students are being crushed by debt. With that mix of populist rhetoric and subterfuge, Senator Warren stands to whip up a mob of angry students (and pundits) who will demand that the government drop the interest rate on student loans to 0.75 percent. Good luck reasoning with a mob. 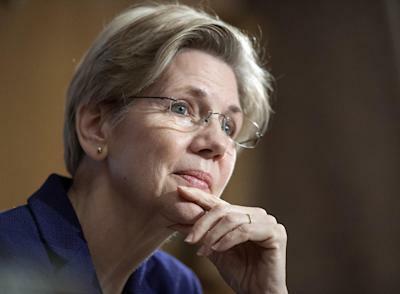 Nevertheless, here is what everyone should know about Senator Warren’s case for lower interest rates. The interest rate at which the “government” lends to banks is part of an emergency loan program that the Federal Reserve uses to prevent runs on banks. The 0.75 percent rate is actually a penalty rate, about three times higher than what banks charge each other in the market. Banks rarely use it, and lose money when they do. Lastly, the Federal Reserve is not part of the government, nor is it controlled by it; it is an independent entity. Therefore, the “government” does not lend to banks at 0.75 percent. What about Senator Warren’s claim that the government makes money off loans to low-income students? Senator Warren is not telling the whole story here either. She points to figures that the non-partisan Congressional Budget Office says “do not provide a comprehensive measure of what federal credit programs actually cost the government and, by extension, taxpayers.” In fact, when the budget office “accounts more fully… for the cost of the risk the government takes on when issuing loans,” it reports that Subsidized Stafford loans – those made to low-income students – cost taxpayers $12 for every $100 lent out, or $3.5 billion per year. If the loans cost $3.5 billion a year when the government charges a 6.8 percent interest rate, cutting the rate to 0.75 percent would more than triple that cost. The claim that the government makes money on these loans is even more dubious given that the Department of Education estimates that 23 percent of the Subsidized Stafford loans it makes this year will default. That puts it among the riskiest loan programs that the federal government runs. By comparison, about 7 percent of the loans under the Federal Housing Administration mortgage program are expected to default. That program provides loans to high-risk borrowers who do not qualify for a traditional mortgage because they lack the savings, income or credit history. To be sure, the student loan program should serve high-risk borrowers. By their nature, students generally do not have collateral, earnings or credit histories. But when nearly a quarter of the loans are expected to default, charging a 6.8 percent interest rate is hardly the usury Senator Warren suggests. A non-profit credit union would charge at least double that rate. Let’s say Senator Warren is right that students are being crushed by debt. Even so, lawmakers need not cut interest rates to alleviate that burden. The government has a solution in place. A program available now, called Pay As You Earn, allows the same borrowers who would be eligible for Senator Warren’s proposal to have their annual loan payments set at between 0% and 10% of their incomes, depending on their earnings and family size. That is, a borrower’s income – not the interest rate – dictates the payment, and it is always an affordable share of his income, never exceeding 10 percent annually. The program also guarantees that no one has to pay beyond 20 years. No matter how much a student borrows, or the interest rate, the loans are forgiven at that point. Too few borrowers are aware of the Pay As You Earn program, however, and others struggle to enroll due to administrative hurdles. If Senator Warren were serious about easing students’ debt burdens, her first legislative proposal would have addressed those issues. Instead, she gave students a crash course on the Federal Reserve’s discount window and false hope that they will be able to borrow from it. Those students would be much better off learning about Pay As You Earn. Jason Delisle is Director of the Federal Education Budget Project at the New America Foundation.